It's all about mixing and matching. 1. 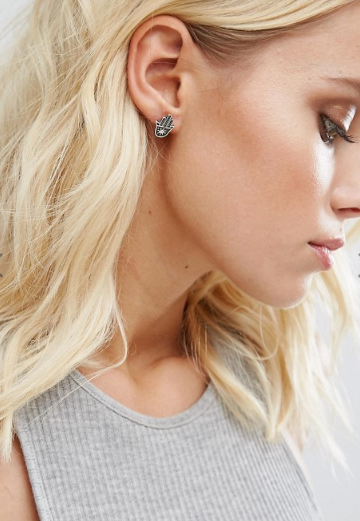 A trendy multipack of crystal embellished studs for the cool, boho girl. 2. A galaxy of otherworldly orbs to prepare your outfit for lift off. 3. 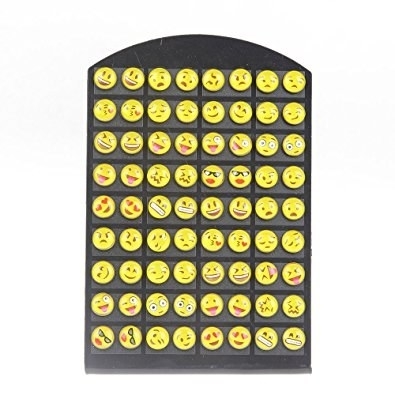 A polished set that gives your favorite emojis an upgrade. 4. 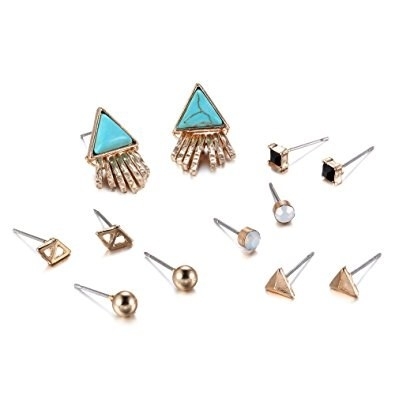 A collection of mixed metal studs that gleam like geo stones. 5. 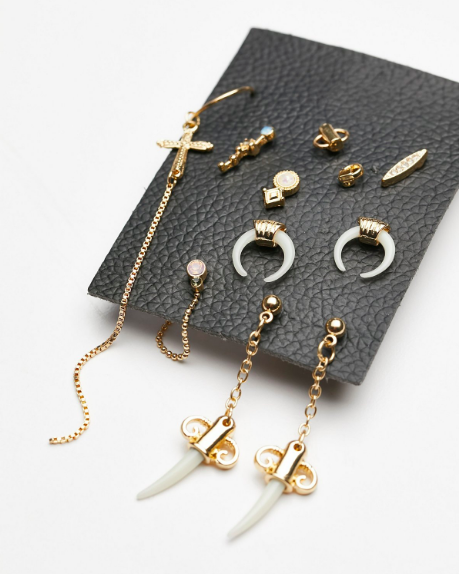 An assortment of trinkets that will set admirers buzzing. 6. A stylish selection of posts for the indie beauty. 7. 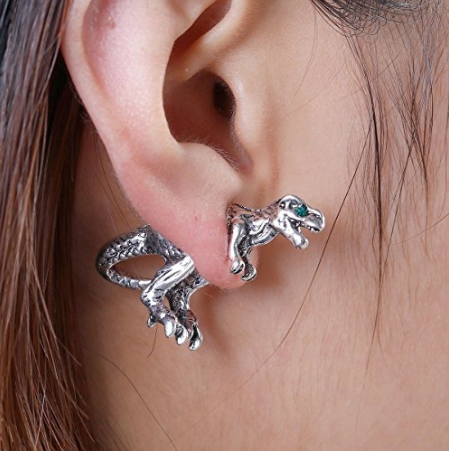 A dangerously cool pack of dinos that will never go extinct. 8. A troop of characters from far, far, away to give your look the power of The Force. 9. 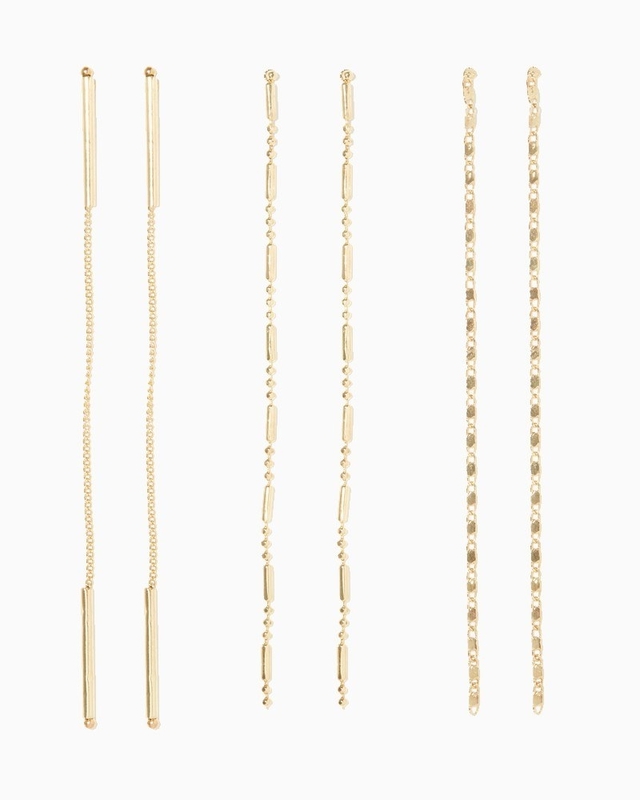 An array of dainty chains that emulate the grace of fine jewelry. 10. A flock of forest friends are *owl* you need for rustic flair. 11. An irresistible batch of glittery treats that really are too pretty to eat (not to mention inedible). 13. 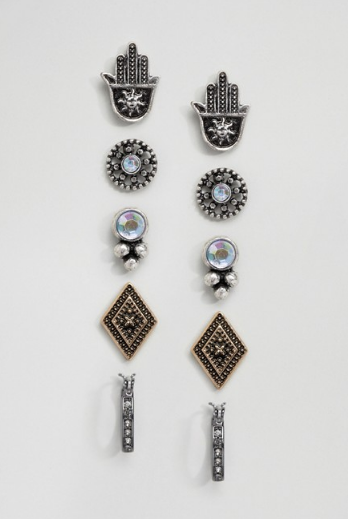 A southwestern mix of rugged metal fitting for your inner cowgirl in need of some adventure. 14. 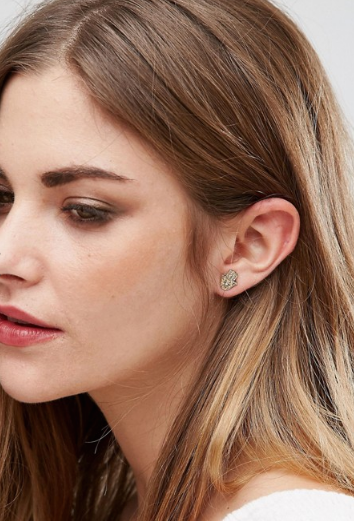 A band of pretty gold hoops with delicate, antiqued details. 15. 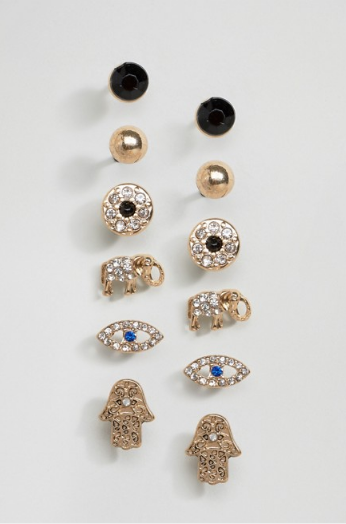 A set of singular studs with endless pairing possibilities so that two ensembles are never the same. 16. 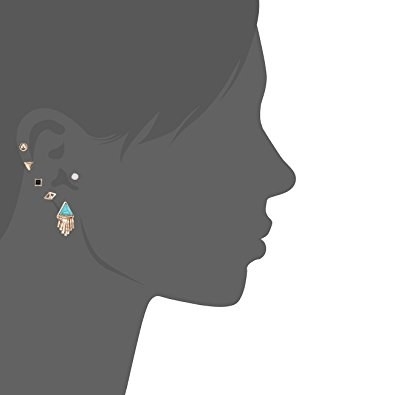 A geometric group of turquoise plus contrasting metals and crystals make a distinct design, especially when worn together. 17. 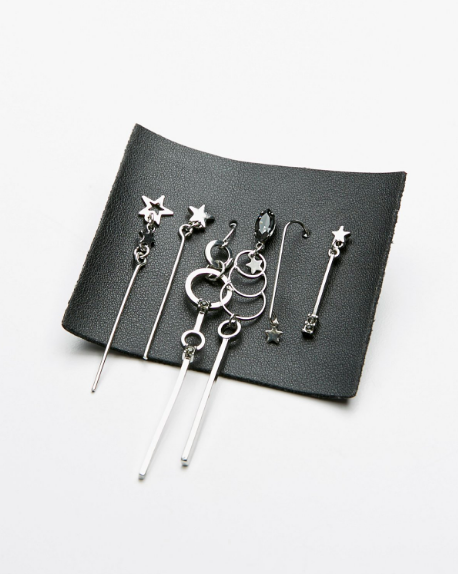 A collection of bewitching charms that are truly spell-binding. 18. A range of emoticons to express yo'self day after day. 19. 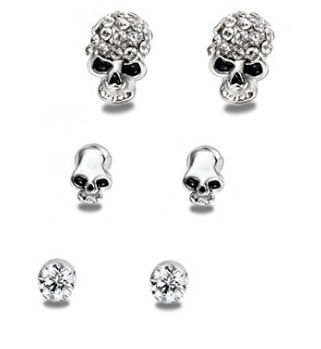 A deadly chic assembly of sterling skulls to show your dark side. 20. A bundle of fruit whose style has no expiration date. 21. 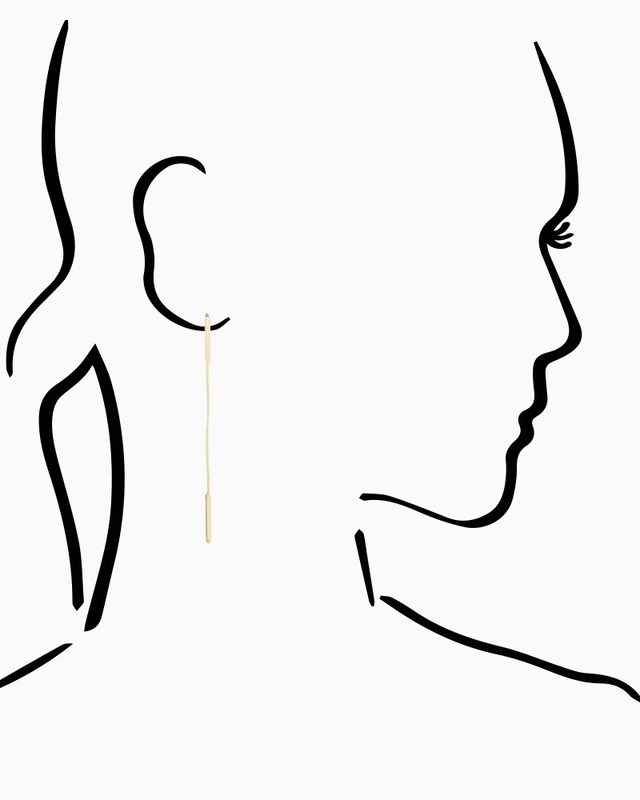 A curation of eclectic earrings for the contemporary chica. 22. A sweet crop of the pine-apples to your eye. 23. A trio of strangely sweet skulls that are fatally appealing. 24. 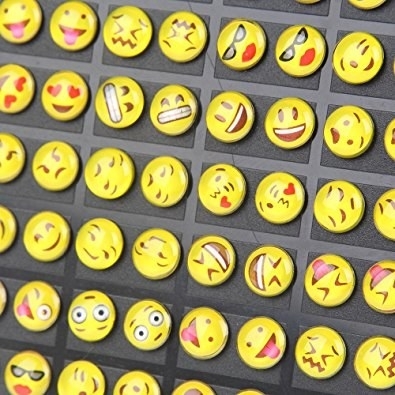 A replica of emojis to match your moods whether you feel lit or like...ya know. 25. A trilogy of fine hoops that you'll always circle back to. 26. A crew of these brave explorers and their celestial mates. 27. 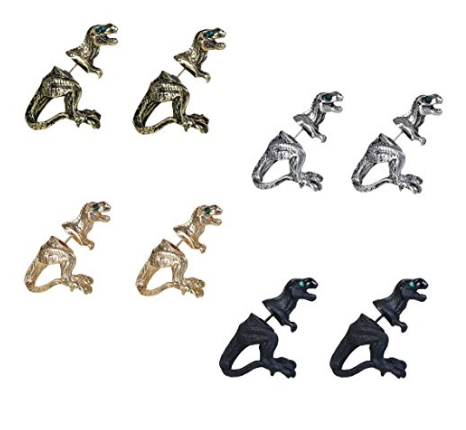 A herd of metallic characters that will always be your natural selection. 28. 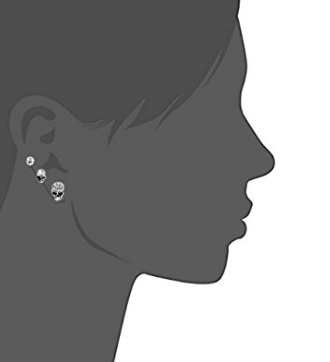 An accumulation of cute earrings forecasts a storm of compliments. 29. A funky crew of handmade stones that may be...stoned? 30. An elegant string of drops that can be combined for versatility. 31. 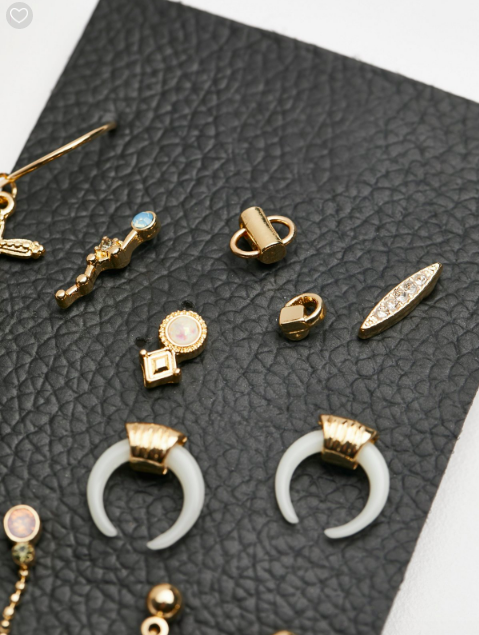 A cluster of statement earrings that leave you starry-eyed. Let this be you no more!